Blog > Designers > 5 Amazingly Cute Patterns from The Velvet Acorn! If you’ve been at home in the craft world for a while you’ve probably heard of them: Inspired by nature and stunningly beautiful – knitting patterns by The Velvet Acorn are simply amazing! Meet Heidi May, the woman behind these adorable creations! Hello, my name is Heidi May and I have a true love for nature…..one of my favorite things is to sit with my cup of coffee in the morning and stare out at the mountains and trees, whether they are filled with snow, falling leaves, or billowed out with spring foliage, I can’t think of anywhere else I would rather be. Inspired everyday by my children, and really the simple things in life. 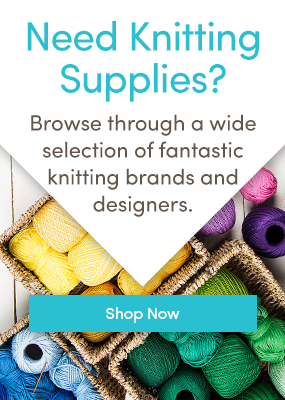 I have always had a love for knitting and crocheting, there is just something about wrapping up in a wonderfully handmade item…truly filled with love in every stitch. When my first daughter was born I was always looking for items that were feminine, practical with a natural earthy flare. This is where my business started….The Velvet Acorn. I have three wonderful children. Time goes by so fast and I am very thankful, I cherish every moment we share together and seeing the world through their eyes. I really enjoy cooking, reading and just curling up in front of the fire with a basket full of yarn. I can only hope to share with you my love for nature and all the simple things in life one design at a time. Check out all of the amazing Velvet Acorn knitting patterns! With this Azel Pullover every seaside walk will be a warm and comfortable adventure! It’s knitted in Bernat Softee Chunky and the button details on the side make this pullover a highlight in any wardrobe. Wrap yourself or your kids in one of The Velvet Acorn’s animal cowls! How about this lovely Fox cowl knitted in Lion Brand Wool Ease Thick & Quick. Thanks to the chunky yarn it will be done in no time and it’ll keep you comfortably warm! This Veronya Warmer can be worn either as a headband or as a cowl and goes with any comfy outfit for winter walks and adventures in nature! Knitted in Cascade 220 Superwash it’s not only a pleasure to wear but also to work with! This Harmony Cloche hat has fantastic details that make a simple hat an impressive statement piece. Knitted in Lion Brand Heartland Aran/Worsted it looks great with every outfit and will make winter walks all the more enjoyable. This Cove Cardigan is the perfect garment no matter the occasion! The simple lace motif edging is an amazing detail that makes this cardi a highlight at every walk or playdate! Check out all The Velvet Acorn’s knitting patterns! What’s your favorite?